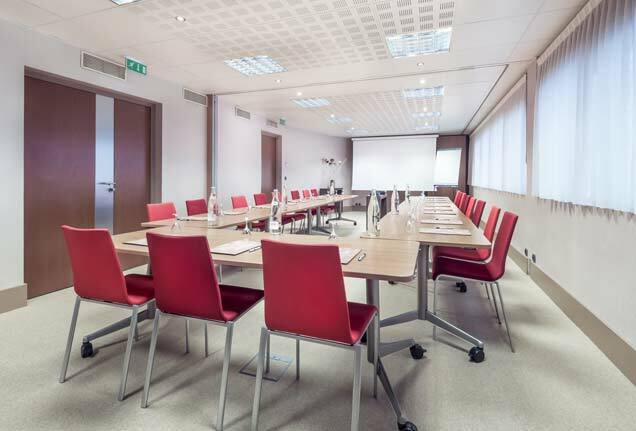 For all your meeting and seminar needs, the Hotel Le Pré Carré offers an entirely adaptable room that is filled with natural daylight. It can accommodate up to 22 people. Our meeting room is fully equipped. Tea breaks and welcome drinks can be offered in the hotel’s bar area (tea, coffee, fruit juice and mini-pastries). As each meeting and seminar format is unique, reservation requests must be made by email to precarre@hotel-annecy.net. We will provide you with a customised quote as soon as possible. For showrooms, we offer our 40m² room which can be converted at your convenience with a number of tables and display hangers. The room is largely lit with natural sunlight. A WiFi connection is available in the room. As each showroom format is unique, reservation requests must be made by email to precarre@hotel-annecy.net. We will provide you with a customised quote as soon as possible.